What's new in Movie Connect? These buttons let you go through your movie list to make changes, while staying in the Edit Movie screen. Just use the Next or Previous button on the bottom left. 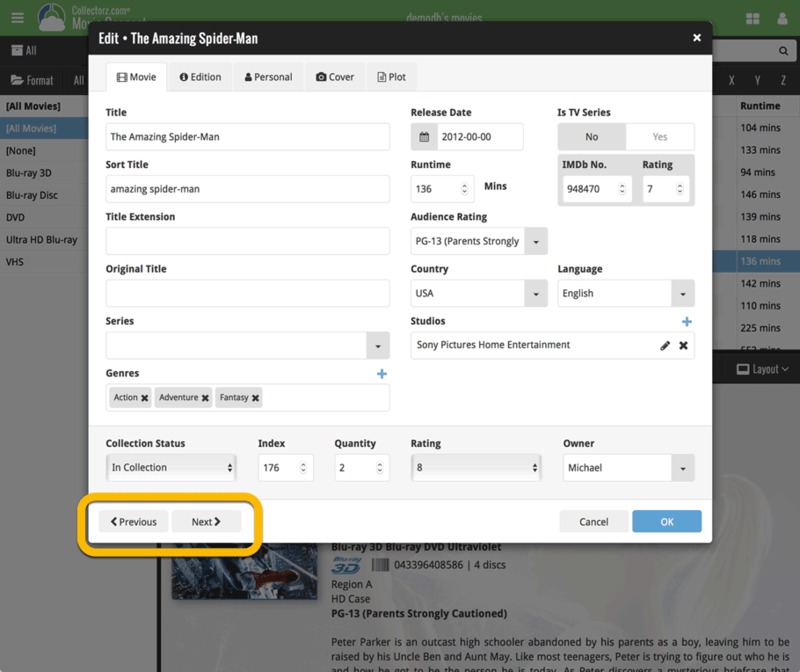 While doing so, the screen will keep you on the same tab and same field, making it super-easy to make changes to same field(s) for multiple movies.